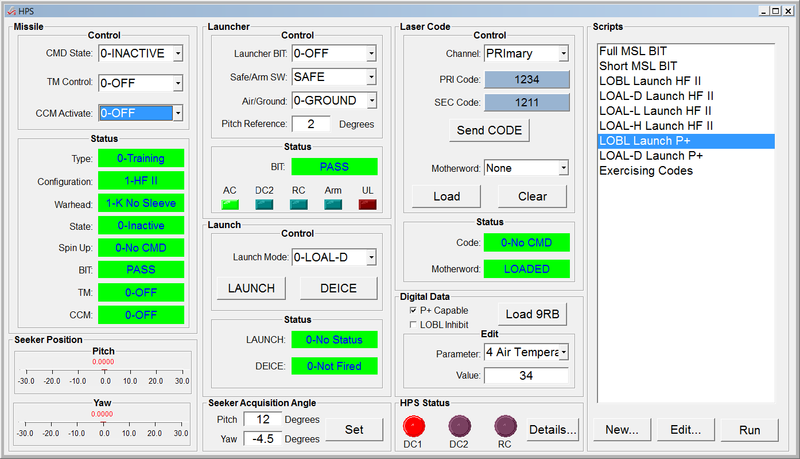 Hellfire Platform Simulator | Marvin Test Solutions, Inc. 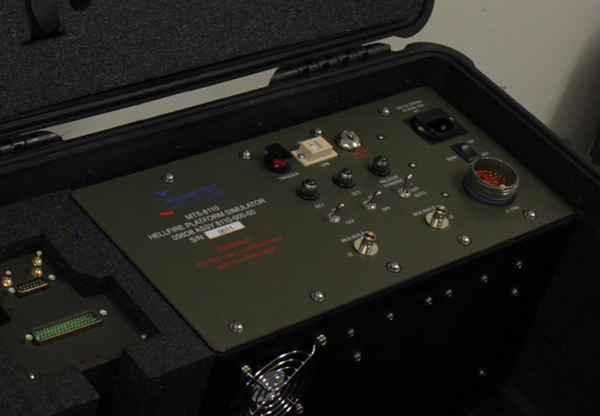 The MTS-8110 Hellfire Platform Simulator is designed to simulate the operation of a platform (rotary or fixed-wing aircraft, or remotely piloted aircraft) controlling a Hellfire II missile through an M299-compatible Hellfire launcher. 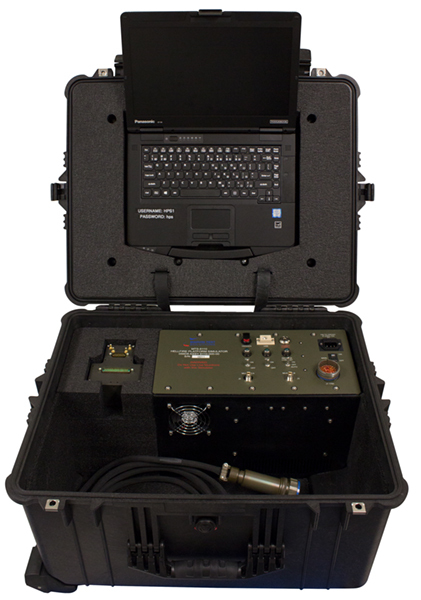 Portable, self-contained, and housed in a rugged enclosure for easy transportability, the MTS-8110 is ideal for lab environments, system integration facilities, and field use, allowing developers of Hellfire and similar systems to complete most of the system’s design, test, and verification even without access to the aircraft. The emulation of the platform control over the Hellfire system simplifies the integration of new weapon systems, and facilitates test and integration activities without the need for a platform, SIL, or M299 launcher. These capabilities represent substantial cost and time savings, and reduce program risk for these mission-critical systems.